Installation of 3 high efficiency condensing modulating boilers and two indirect domestic hot water heaters. 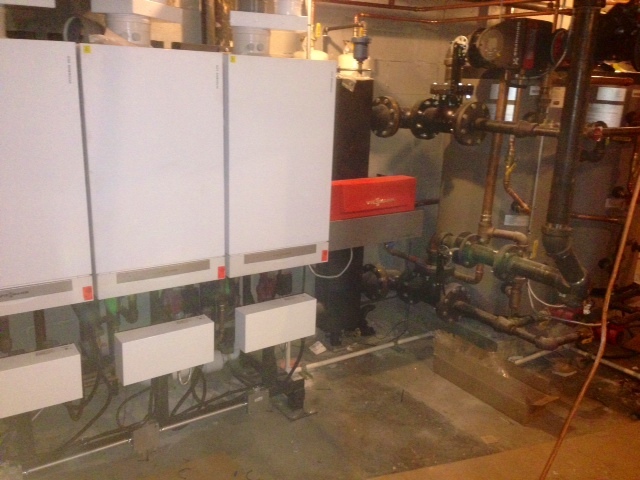 Boiler: (3) Viessmann Vitodens 200W Boilers. Each boiler is 350,000 btus for a total of 1,050,000 btus. 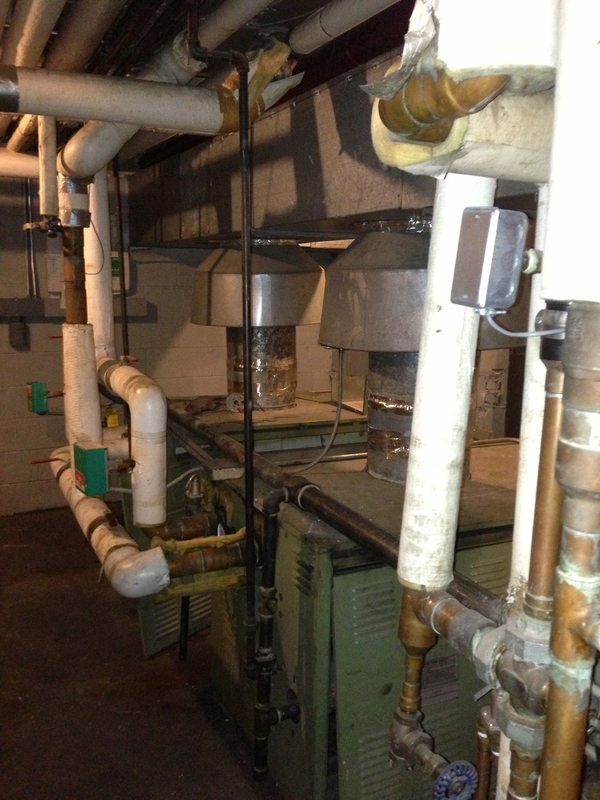 Domestic Hot Water Production: (2) 105 gallon indirect hot water heaters. Vitocontrol-S Cascade Control for each boiler to alternate heating production.